You are currently browsing the tag archive for the ‘Autumn’ tag. The calendar has rolled around to November. I think it is safe to say that we can wish goodbye to warmer weather. If you haven’t pulled winter hats and gloves out from storage, now is the time. The mornings come early and they are chilly! Drag your window-shaker air conditioners out, or cover up the central air conditioner outside. Drain the gas out of your mower and put it to bed for the season. Clean and stack your patio furniture away into storage for a long winter’s nap. Empty those gutters and make sure the downspouts are pointed away from your house. Do you have anything else on your to-do list before you too can curl up in front of a toasty fire this winter? If you are anything like me, I bet you do. If you still have plenty of items on your checklist to winterize your house, how about brushing off the crock pot and pushing it back into service for the season to ensure you’ll have something tasty to eat once you tick a few items off that list. This slow cooker recipe from Savvymom.ca is sure to be a delicious hit with any family. It should certainly be a winner for any chef that is also wearing the hat of busy home owner preparing their home for winter. Place chicken thighs in a single layer at the bottom of a slow cooker and season well with salt and pepper, before pouring the lime juice over the chicken pieces. In a small bowl whisk together the salsa, cumin, paprika, oregano and chili powder. Pour the salsa mixture over the chicken, spreading it evenly to cover the meat. Place the lid on the slow cooker and cook on low for 6 hours (or high for 3 hours). To serve, remove the chicken from the cooker and place it in a bowl. Using two forks, pull the meat apart to shred it. Place it back in the cooker and toss with the sauce before serving. Good to Know: If there is a lot of watery sauce in the crock-pot, pour a few scoops over the chicken when it’s in the bowl instead of returning the meat to the pot. Have you started raking yet? With the crock pot cooking, you will have plenty of time to get outside to rake leaves, wrap trees and shrubs, put away your garden ornaments, drain your hoses and store them, turn off your outdoor water taps, plus see if you need to replace any burnt out bulbs in your outdoor lighting. Night falls much earlier this time of year, so exterior lighting because that much more important for home owners. You might want to make sure that you have a store of salt for your driveway, while safety is on your mind too. 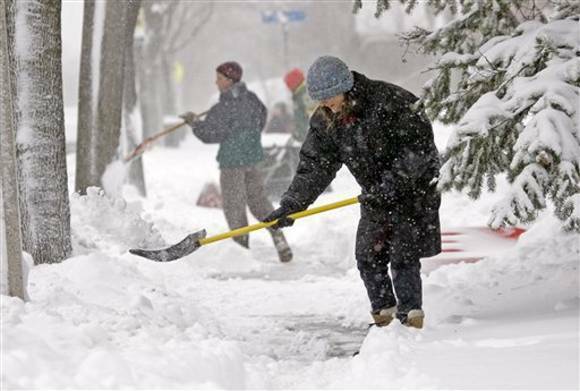 A shovel or snow blower is an essential tool for anyone in this part of Canada that has to leave their house come the first snowfall of the season. That goes for the second, third and beyond’s dumps too. Now that October has arrived, fall fun is in full swing. As London, Ontario is surrounded by forests, fields and plenty of farms, we’ve got a pretty good handle on what it takes to enjoy Autumn in these parts. Appleland has gotten in on the corn maze sensation now too! plus our parks are ablaze with colours, begging for walks, photo shoots, and picnics while the nice weather holds. Check the Upper Thames River Conservation Authority, Lower Thames Valley Conservation Area, Ontario Conservation Areas, or the Ontario Parks fall report for more information. Westminster Ponds is beautiful this time of year. What is your idea of Fall fun in Southwestern Ontario? While the temperatures remain relatively warm during the day, it is obvious that Fall is in the air. Nights are cool. The leaves are beginning to change. Annuals that you may have planted in the spring are now looking relatively straggly. The grass is slowing down in its growth. As Mother Nature changes her decor, so too should you. Who’s got time to tackle some home maintenance projects? Pull out annuals that are leggy and spent. While you are at it, dig out summer bulbs and store them for the season. You can replace those bulbs with spring flowers, like crocuses, daffodils and tulips for that burst of colour first thing in the spring. The garden isn’t the only thing that needs some TLC. Your planters are probably looking rather spent as well. 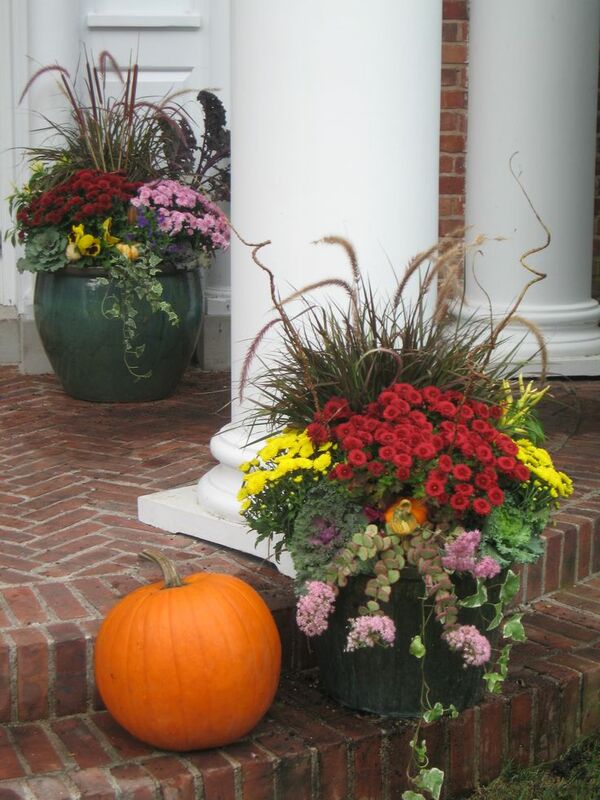 Renew them with a hint of fall flair in choices like colourful mums, cool-weather-loving kale, jazzy grasses, and a selection of pumpkins and gourds. Keep cutting your grass right up until it stops growing. Think about over-seeding in the early part of the fall. While the weather stays warm, continue watering your grass. 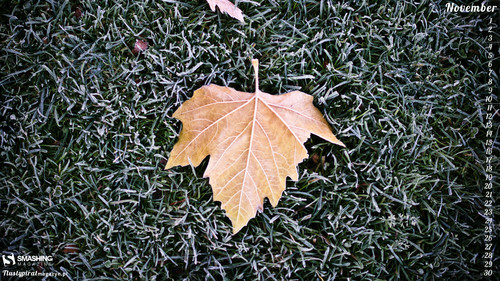 A fall fertilizer applied in October will also give your lawn that boost it needs to shine next spring. Once you have cut the grass for the last time, make sure to winterize your lawn care equipment before putting it to bed for the winter. When the leaves transform into a beautiful rainbow overhead, a camera might be the first thing that you think to reach for. The next thing you reach for though will be a rake. That stunning canopy only lasts so long before it gently drifts to the ground and you have some work to do. 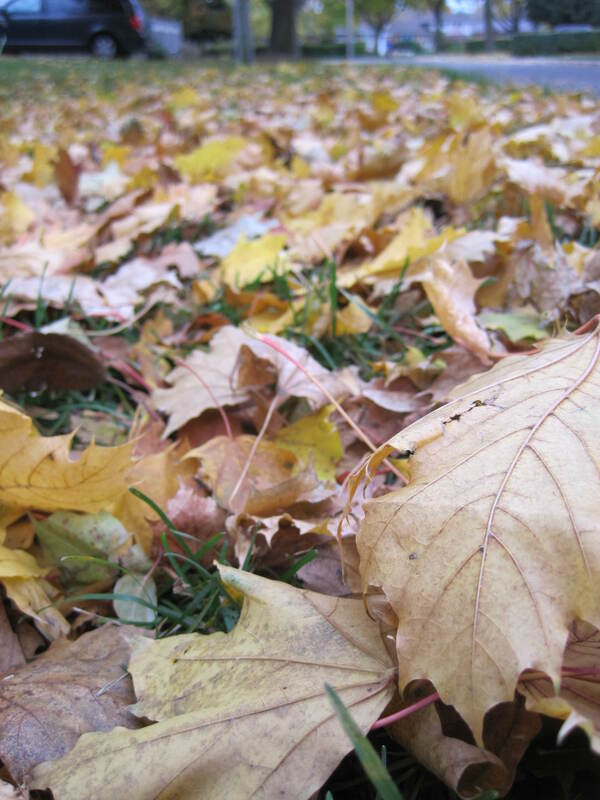 Whether you prefer a rake, leaf blower, or mulcher, now is the time to amass yard waste bags in preparation for leaf raking season. Prepping your indoor world for winter is a good idea too. Slowly reintroduce any plants that you took outside for the summer, back indoors. They need to gradually readjust, but most certainly can’t handle any frost or other frigid temperatures. There aren’t too many hot breezes blowing through your home anymore. Time to switch your ceiling fans to clockwise for the winter. That will pull cool air up off the floor and push the warmer air off the ceiling and down the walls towards the floor. It is a simple step that will save you a couple of degrees in your house and dollars in your pocket. While insects might still be buzzing in your yard, they will be gone soon, and with them the need for window screens. Now is the time to remove, wash and store your screens and haul out your storm windows if you’ve got them. While you are at it, check for any drafts and caulk around windows as necessary. If those drafts are bad enough, why not think about replacing those leaky windows altogether? It might be more expensive than tacking up plastic window barriers, but replacement windows add more value to the resale value of your home in the long run. Don’t put the caulking gun away too fast. Since it is out already, now is a great time to recaulk the tub, fill any cracks in your foundation or around outdoor faucets, seal around doors, and winterize your home as needed. The weekend is almost here. You need to get through one more day of work to make it to two blissful days off. I normally regal you with all the fantastic things that London, Ontario has to offer. And there is plenty of stuff to get up to here. I know I am blessed to live in such a great city and can’t praise it enough. But I have to say I am tired. I don’t know if it’s because I still haven’t adjusted to the back to school routine. It could be because the Harvest Moon has been shining bright this week. It might be because Fall officially arrives this weekend, so we can look forward to longer nights and shorter days, with potentially less sunshine available to perk up spirits. I know a lot of people who are hitting that nesting phase in preparation for winter, making soups, canning, baking, cleaning and organizing their lives. I think it is my turn this weekend. Sure, you could hit the theatre (Legally Blonde is getting great reviews at the Grand Theatre), check out the Old East Village Fall Festival, or attend one of the many sports events going on this weekend (watch the Western Mustangs, London City Soccer, or London Knights in action). I might do one or all of those things. I suspect that my weekend plans are going to be a little more low-key though. Sure it might be tempting to go apple picking, get lost in a corn maze, or just wander quietly through a forest to breathe in the Autumn air. In fact, all of those things are really tempting now that I think of it. Then I think about the fact that maybe I could sleep in this weekend. Perhaps I could tick a few late summer projects off around the house before the cooler weather really sets in. Once I have had my leisurely coffee over the newspaper that is. Or maybe I could make the rest of my week easier by prepping a few meals to freeze for mid-week crazy days. Yeah, how about pesto from the basil before it gets hit by frost, spaghetti sauce from your abundance of tomatoes, or a few pots of soup from all those great seasonal vegetables that are overflowing at farmers markets across Ontario. I know! Here’s a recipe that uses plenty of great Ontario veggies, from the Foodland Ontario site. In large saucepan, melt butter over medium heat. Add beets, leeks, mushrooms, carrots, garlic, onion, white turnip, celery, potato and bay leaves; cook, stirring occasionally, for 20 minutes. Stir in broth and tomato paste. Bring to simmer and simmer gently for 10 minutes. Stir in cabbage and beans; cook for 5 minutes. Season with vinegar, sugar, and salt and pepper to taste, adding more vinegar and sugar if needed. (There should be a nice sweet and sour balance.) Discard bay leaves. 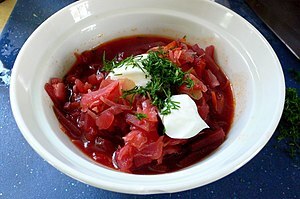 Place dollop of sour cream and sprinkle of chives on each serving. Tip: This soup freezes well, so double the batch and freeze for later use. Of course, I might not get out of bed at all. What are you up to this weekend? Just as farmers are hard at work harvesting their crops from the field, so too can we start to prepare for the coming winter. With the official start of Autumn less than a week away, I am sure there are many among us that have turned their minds to getting ready for the shorter, cooler days and long winter nights that are on the way. It is time to put away shorts and tanks, and prepare for the cooler temperatures that Fall. Perhaps you should take a page from area farmers and work by the light of the Harvest Moon this week to get your life organized for Fall. If you are going to work by the light of the harvest moon, why not start with harvesting some of this season’s bounty from the fields yourself? Grab the family and head out to pick apples, pears, or a pumpkin or two. Another option is to hit a farm stand or farmers market to cash in on all the season’s best produce out there. Once you get it home the fun really begins. While eating the produce fresh is satisfying, if you have brought home 10 lbs of beets or a bushel of apples, you might want to think of other ways to use all that yummy goodness. Why not try your hand at canning this year! Tomatoes are a simple choice to start with in the canning department and a great way to save some of the many pounds of juicy vegetable (fruit?) to enjoy in the depth of winter. Apple sauce is another easy option and will be appreciated in any child’s lunch all winter long. If canning isn’t your cup of tea, you can always freeze corn, beans, berries, tomatillos and other fresh produce, to savour later. Yet another option to capture the summer’s best is through drying. I bet there won’t be anyone else with dried pear chips at school, but they will be lining up to taste your delicious creations! Once you step out of the kitchen, head to the bedroom. You might still want to be wearing shorts in the afternoon, but sweaters are pretty handy first thing in the morning. You may think that you can put it off for a bit, but I think its time to say goodbye to your summer wardrobe Londoners. This is a perfect time to assess, clean and organize your closets too, by the way. If there are items you never wore this past season, pull them out and put them aside for your donation pile. Stained, ripped or threadbare articles can be tossed. All other summer attire can be stored for the season. Think storage totes with tight-fitting lids or vacuum packing items to reduce the space that they take up in storage. Next step is doing a deep clean of your drawers and closets. Empty your drawers and replace your drawer liners. Dust closet shelves once they are empty. Invest in closet organizers to maximize your space available. Don’t forget to vacuum your space while you are at it. 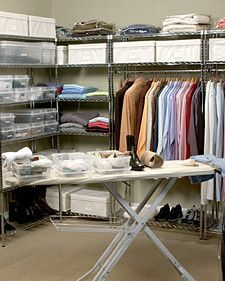 That will mean a clean space to replace all your sweaters, long pants, wool skirts and other pieces of your Fall/Winter wardrobe. That way you can also see what you have and know if you need to replace or buy other must-have items this Fall. 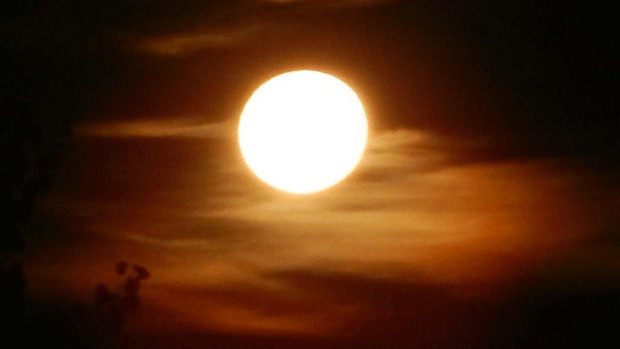 The chill of the harvest moon also reminds us that cooler nights are ahead. It’s time to throw down thicker area rugs, hang curtains to keep the day’s heat inside even after the sun has set for the day, and perhaps change-up the palette of your decor. Maybe a splash of pumpkin in a cashmere throw might warm up your beige living room. How about other accent pieces (ie, vase, candles, picture frames) in Samba, Sunflower or Deep Lichen Green to bring the outdoors in. And before you are shivering too much, order a load of firewood in anticipation of sitting fireside this coming winter. Welcome to In Your Neighbourhood! Allow me to introduce myself. The name is Jim. You want to know more? Well, check out my "About Me" page! Don't forget to take a peek at my "Local London Listings" while you are here too! I update it regularly. Enjoy your visit and drop me a line to let me know you were in the neighbourhood!